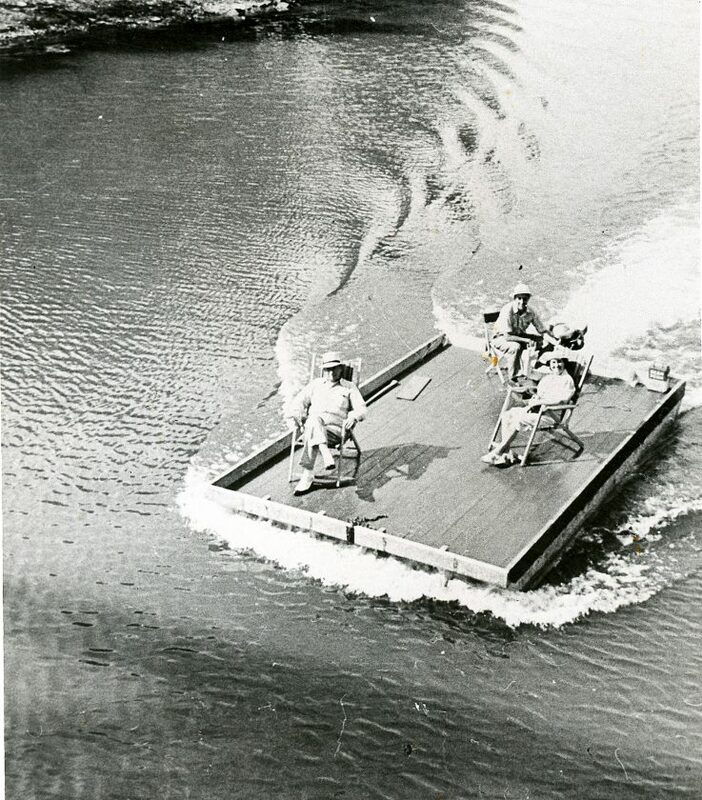 A pontoon boat, driven by Roland W. Fredericks, makes its way down Bald Eagle Creek in 1934. Seated in front of Roland are his parents Mr. and Mrs. N.W. Fredericks. The boat was converted from an old barge and was 19 and a half feet long and 12 feet wide. It was powered by a 16 horsepower motor. The boat was lost two years later in a 1936 flood.